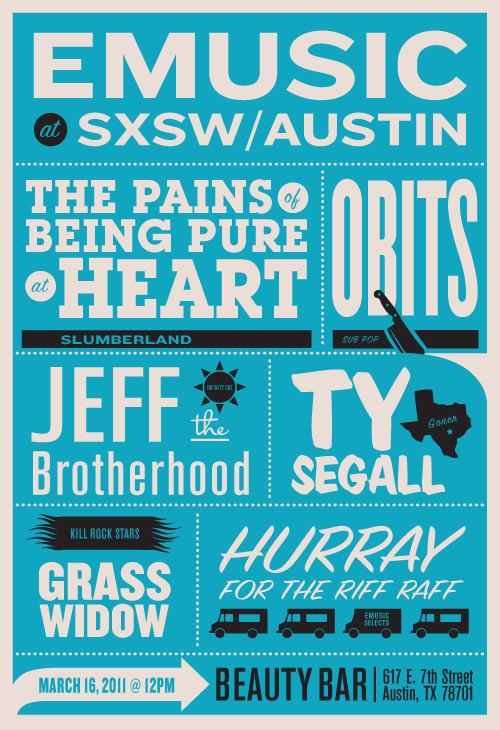 Don’t know if you’ve heard or anything, but this weekend is Fun Fun Fun Fest, and I am so pumped. And also swamped with work I’m trying to get done before the weekend arrives. So consider this a quick post. Tomorrow I will post survival tips, and Friday look for a picks playlist, as well as a themed podcast on Saturday. Told you guys I was stoked. In the meantime, today I’m delving into the FFF afterparties, or Fun Fun Fun Nites, as they’re calling them, and picking my recommendations. For the first time this year, the only way to get into these bad boys is with an FFF wristband, and if you got one of those, the admission is free. There’s so much to pick from it’s like another festival happening right after the one at the Shores. The hustle to Red River should be exciting each night; in the meantime, here are my picks for what you should do once curfew comes around. I’m probably sitting this one out, I’ll likely be finishing up school work and waiting for traveling friends to arrive, and really the only pull here is at Mohawk, where the always awesome Ty Segall will be shredding. I would show up late, though, because the Coathangers are unbearable. 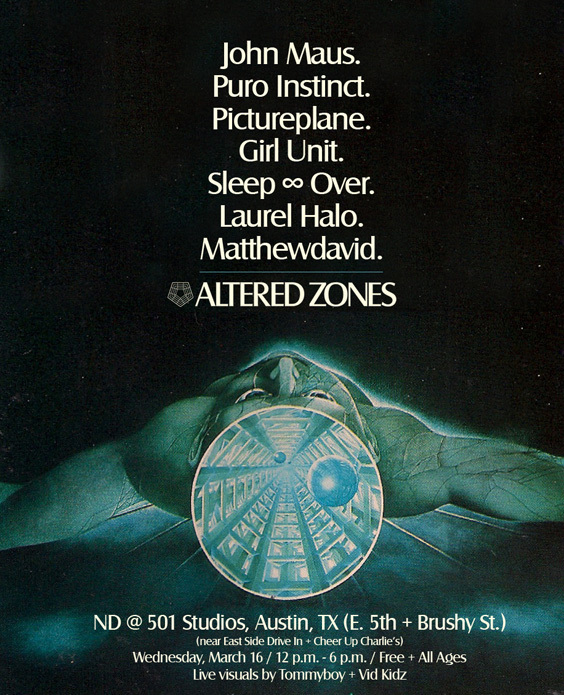 I’ll probably get dragged to Mates of State at Parish, which I won’t mind, but my preference is Emire Automotive for the hipster-tastic Gorilla Vs. Bear party – Keep Shelly In Athens, Purity Ring, and a Neon Indian DJ set. 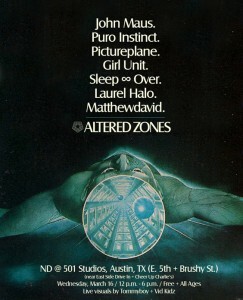 If I enjoy Purity Ring at the fest, I might insist on this one, but if not, it’s whatevs. The fact that I have class and will probably be exhausted at this point likely won’t stop me from attending Dom and Royal Bangs at Red 7 – another possibility is Thee Oh Sees at Beerland, as I will likely miss them at the Fest. 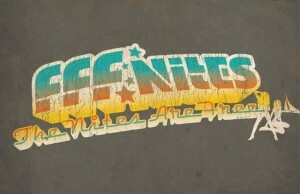 Sunday night’s where the Red Bull comes in handy, among other things…. So what are your afterparty picks? Taking part in the festivities? Get at me. Ok, this is when it gets crazy. 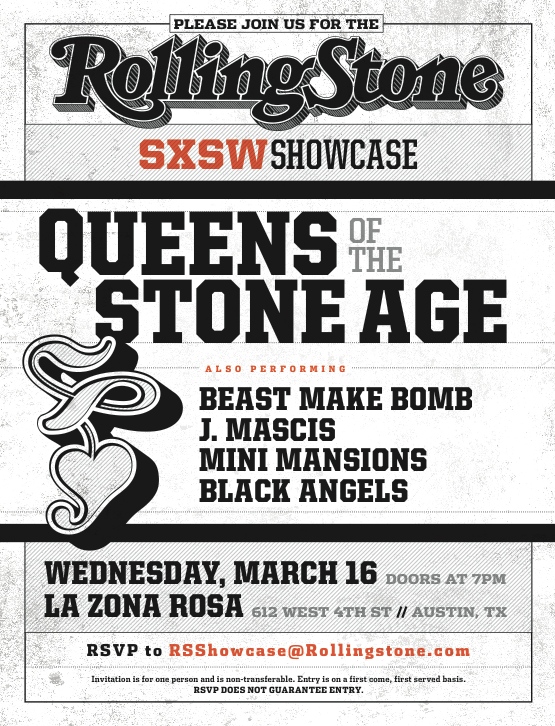 Today I’m going through the Music portion of SXSW 2011, which happens Wednesday, March 16 – Saturday, March 19. Keep in mind there’s always gonna be pop-up shows and last-minute party announcements like every year, so follow me on Twitter and I’ll try to keep everyone abreast of anything awesome. 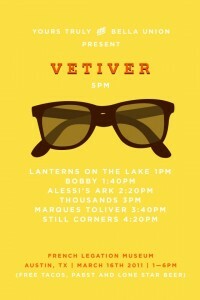 Also: on Monday I will post my picks for multi-day parties, like Fader Fort, Waterloo Parking Lot Shows, etc. so look forward to that. 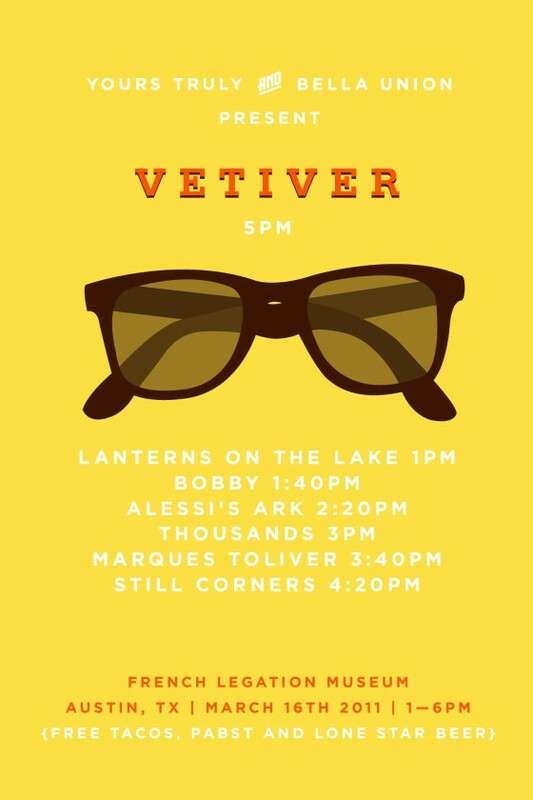 Today’s list only includes my picks for single-day parties. 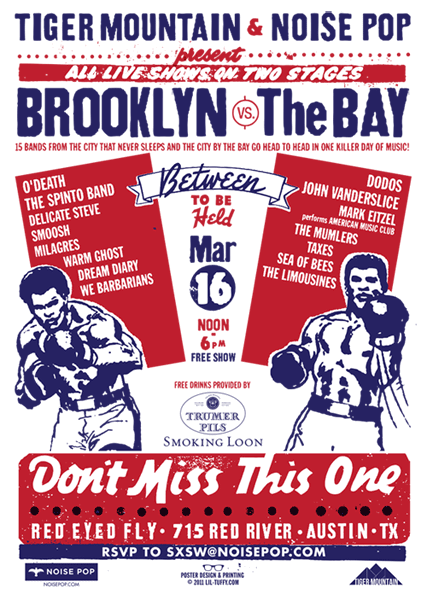 By far the best lineup of the day – Cloud Nothings, Twin Shadow, Givers, Royal Bangs. Awesome. 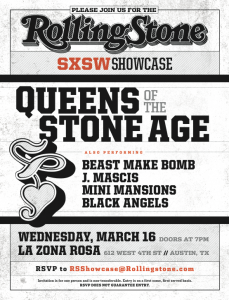 Queens of the Stone Age @ Rolling Stone Showcase at LZR – If you don’t have a badge, it’s likely you’re not getting in. But best of luck to ya! 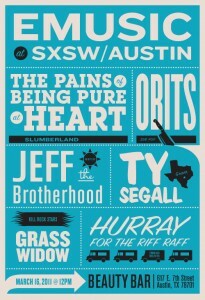 Today is Part 1 of my picks for shows/parties at SXSW 2011. Today, I’m covering my picks happening during the Interactive portion of this year, from Saturday, March 12 to Tuesday, March 15. I couldn’t find anything crazy awesome for Friday, March 11 that wasn’t “badgeholders only” or “sold out,” so if you know of something, get at me! Much obliged! Let the party begin! 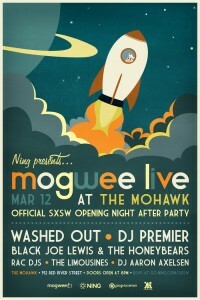 Okay, first up is the Mogwee Party, which you need to RSVP to here, which is happening at the world-famous Mohawk. Not the best lineup, IMO, but it’s something to get me into the SXSW groove, and I wouldn’t mind seeing Washed Out and Black Joe Lewis again. Rest of the dates through Tuesday after the jump.